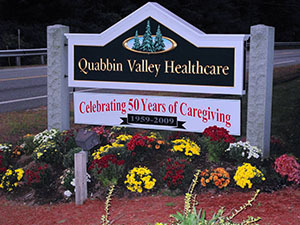 The recreation department at Quabbin Valley Healthcare strives to involve residents in an ongoing program of activities. Whether it is a large group setting, small group activity, a one-to-one visit, or a self-directed activity, our programs are developed to ensure that our residents maintain their highest level of physical, mental, and psychosocial well-being. Activities are tailored to meet individual needs based on lifelong interests and values. 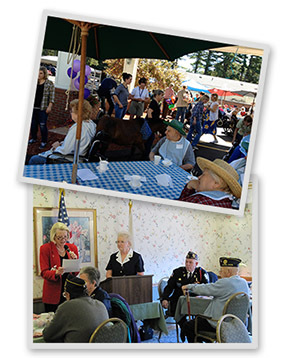 Quabbin Valley Healthcare offers a variety of areas in which activities take place including our Nichewaug Activity Room, our Whitney Hill Library/Chapel, the Beauty Salon, Sky Meadow Lounge, as well as our spacious back patio, and the common areas on all of our units. Whether you prefer a toe tapping musical entertainer, a quiet book from the Library, or an afternoon game of dominoes, our variety of programming is sure to meet your and your loved one’s needs.